And that’s just my freezer! 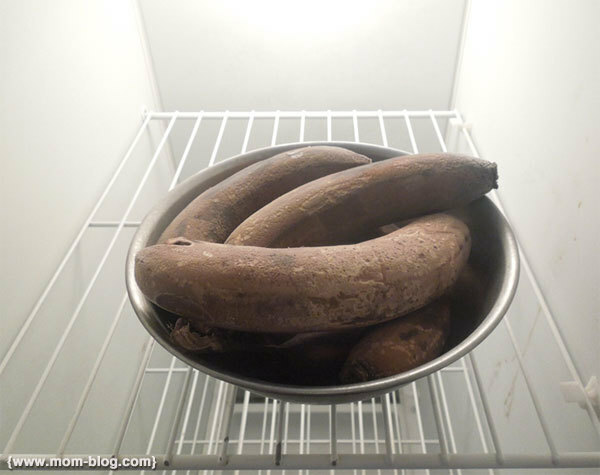 It started a few weeks back when my CSA sent me a package with 15 nearly ripe bananas. On Day 2, they were black. And girly girls WON’T eat them unless they are very, very yellow. So what on Earth do you do with all those bananas? Well, I usually make muffins, but we already did that. Plus, Amelia overdid it on the cake this weekend, so I’m off the muffin boat for a while. Fortunately, I have Silk in the house. When I do, I make smoothies with WHATEVER IS IN MY FRIDGE. Now, I’ve only been making smoothies for a year, but after religiously following recipes I thought, what the heck? I can do this on my own! 1. FIRST the liquids. I don’t know why; they just go first. Grab your favorite kind of Silk and pour about a cup in your blender. 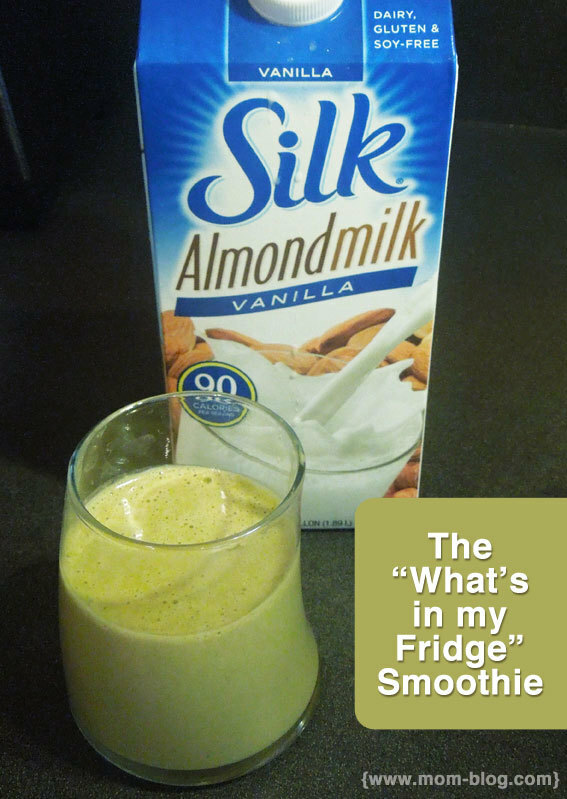 If you don’t use the vanilla flavored Silk Almondmilk, you can always add vanilla extract, but just a drop. 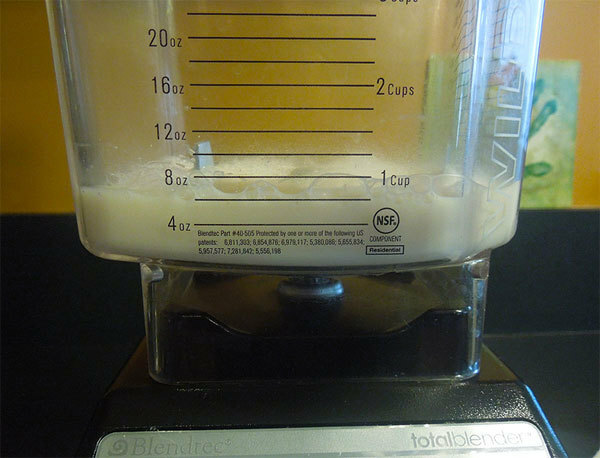 I’ve also used the Unsweetened Vanilla Almondmilk to cut down on sugar. 2. THEN the solids. 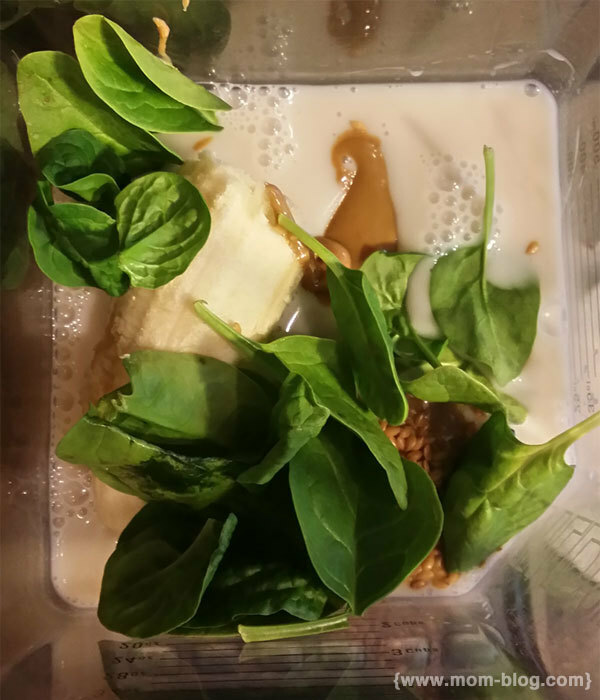 For this smoothie, I added a half of banana, a handful of baby spinach, a tablespoon of flax seed, about 1.5 teaspoons of sunflower seed spread and a drop of agave nectar. I don’t always do the sweet but I was worried the spinach was not as fresh as it could be and might make things bitter. NOW would be where you add the ice or frozen fruit, but I was too impatient today. 3. BLEND AWAY! 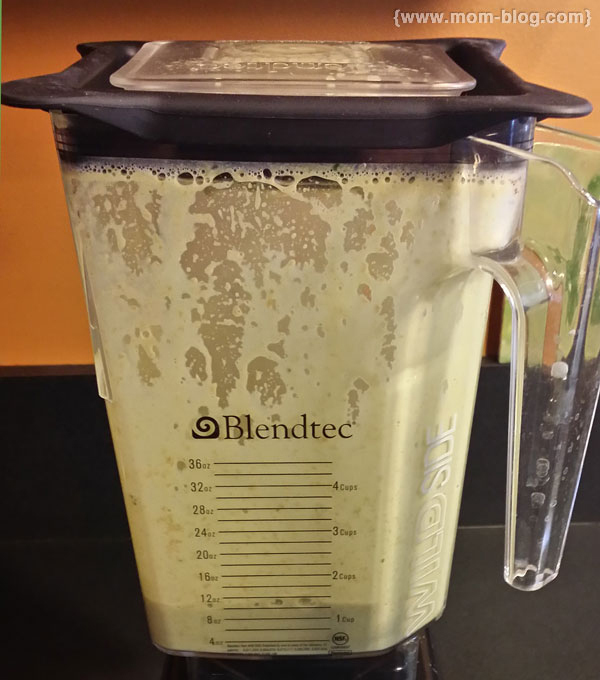 Be sure to warn your family if you’ve got a new high powered blender. I always forget and get in trouble for scaring them, lol! 4. VIOLA, SMOOTHIE! Because I was out of ALL OTHER fruit today, I didn’t have high hopes for this smoothie, but look at that gorgeous green color! And it was DELICIOUS and packed FULL of power, so I feel good about knocking out 2 of my 5 fresh produce intake today.